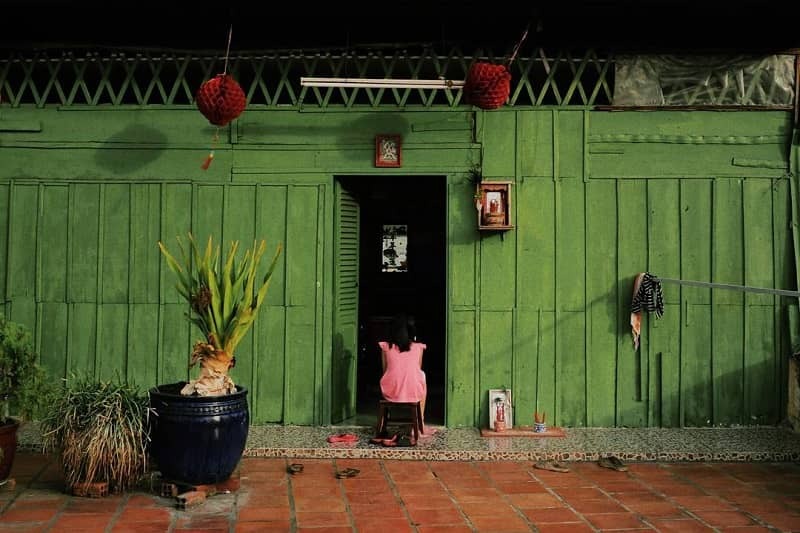 Vietnam is famous for the ethnic diversity due to the fact that there are fifty four ethnics all over Vietnam’s region. What’s more, tracing back to the historical period, Vietnam also experienced emigration and sheltering from foreign community. 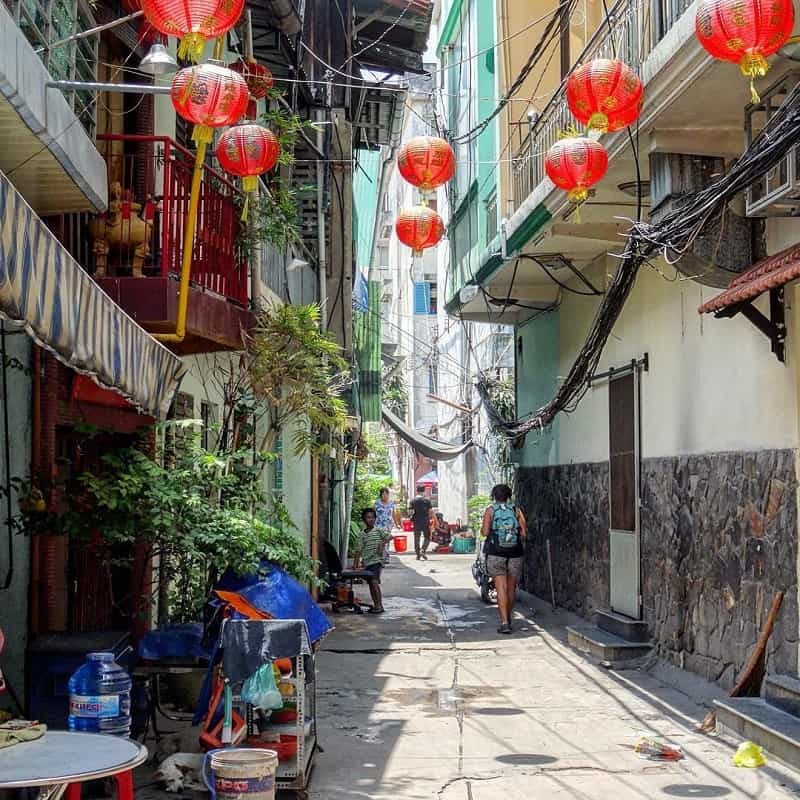 One of them, having to say, is the Chinese people living in Ho Chi Minh City, known as the Chinatown. 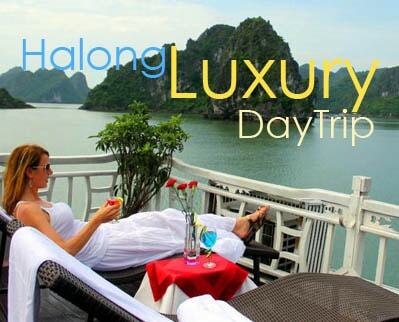 If you are wondering where to go for an exciting day, then you can have the answer! 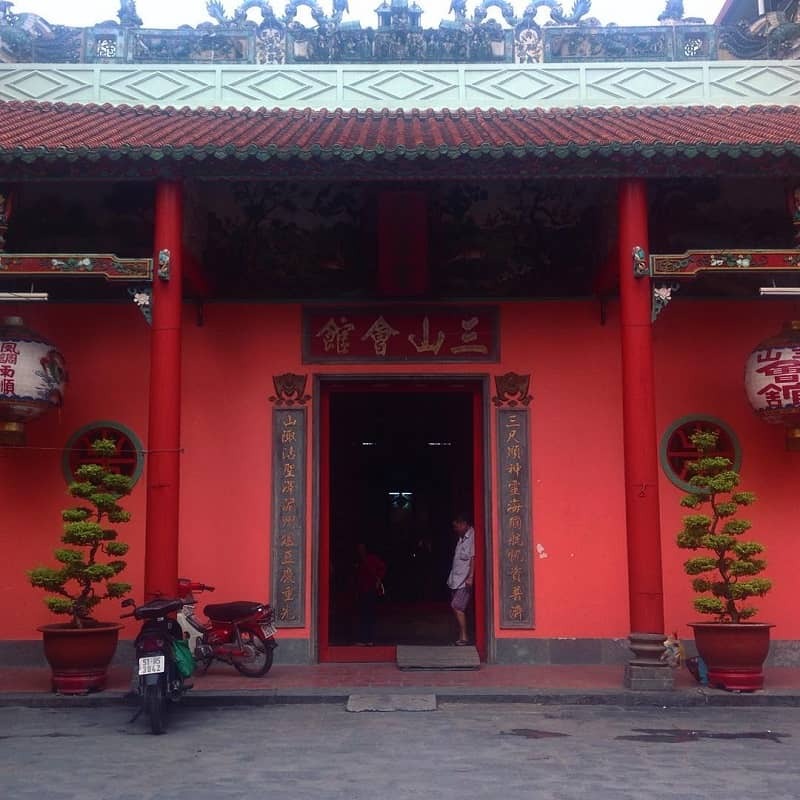 Come to Chinatown Ho Chi Minh city to see what’s amazingly inside. 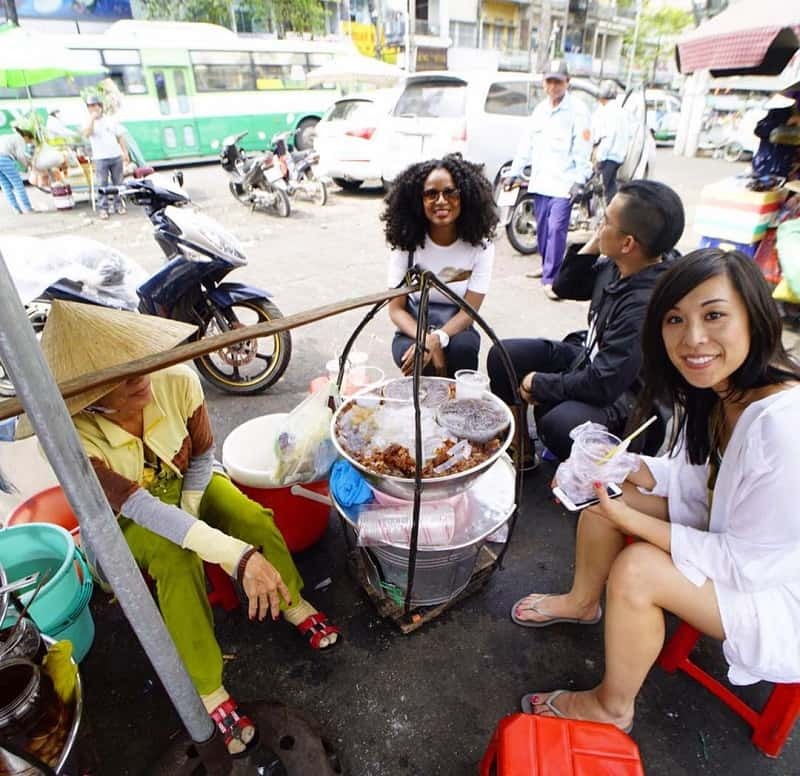 Ho Chi Minh City’s Cho Lon is Vietnam’s largest Chinatown with roots dating back to 1778. At that time, the Hoa (Chinese minority of Vietnam) living in Bien Hoa, a city in Dong Nai province, had to take refuge in what is now Cho Lon since they were retaliated against by the Tay Son forces for their support of the Nguyen Lord. Four years later, they were massacred by Tay Son and had to rebuild high embankments against the flows of the river calling their new settlement Tai-Ngon (meaning “embankment” in Cantonese). Nowadays, people don’t often call it Tai-Ngon but Cho Lon instead, which means Big Market in Vietnamese. Geographically, lying on the west bank of Saigon River, Cho Lon consists of the western half of District 5 as well as several adjoining neighborhoods in District and District 11. At the center of the Big Market stands Binh Tay Market as the most important commercial one there. For decades, it has been long inhabited by Chinese people, called Chinatown. During the Vietnam War, it was considered to play an essential role in supplying for soldiers and deserters from the United States Army. 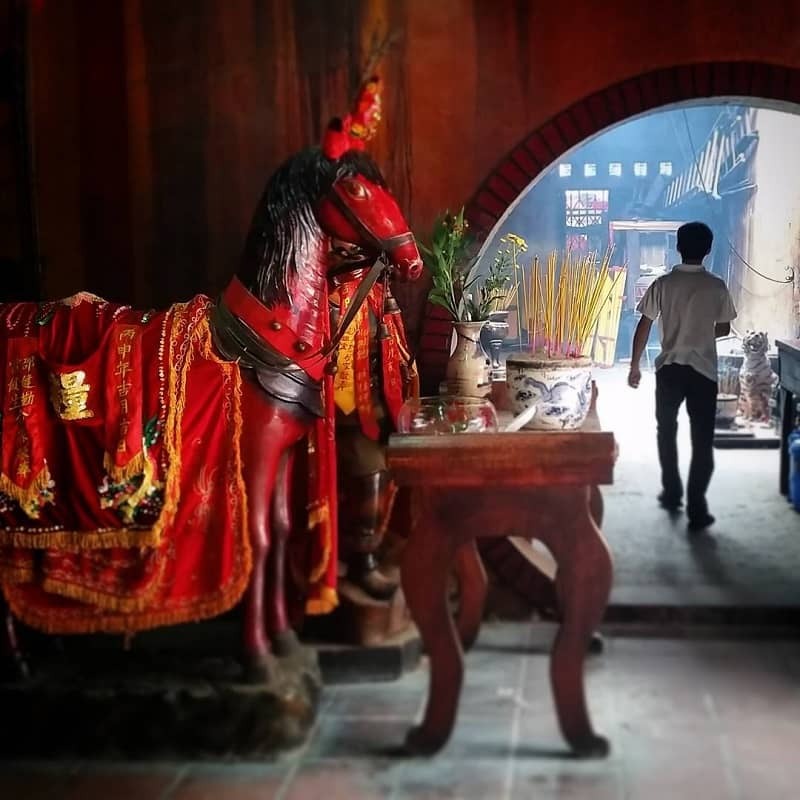 At the moment, Cho Lon has become an enormous trading market and an appealing destination for most of the tourists once coming to Ho Chi Minh City, especially Mainland Chinese and Taiwanese. 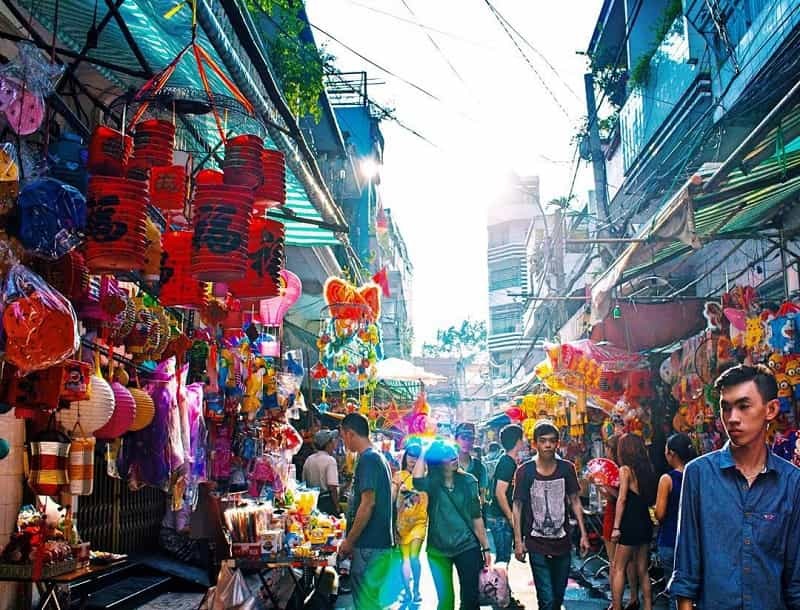 Coming to Cho Lon or Chinatown, you would feel as if you are lost in a paradise full of food and beverage and attractive places. Chinatown is full of authentic local restaurants as well as cheap street hawkers that you can hardly find somewhere around Vietnam. As long as you see a lot of roasted duck and pork hanging in front of the local eateries, you will know that you have arrived in the right place. 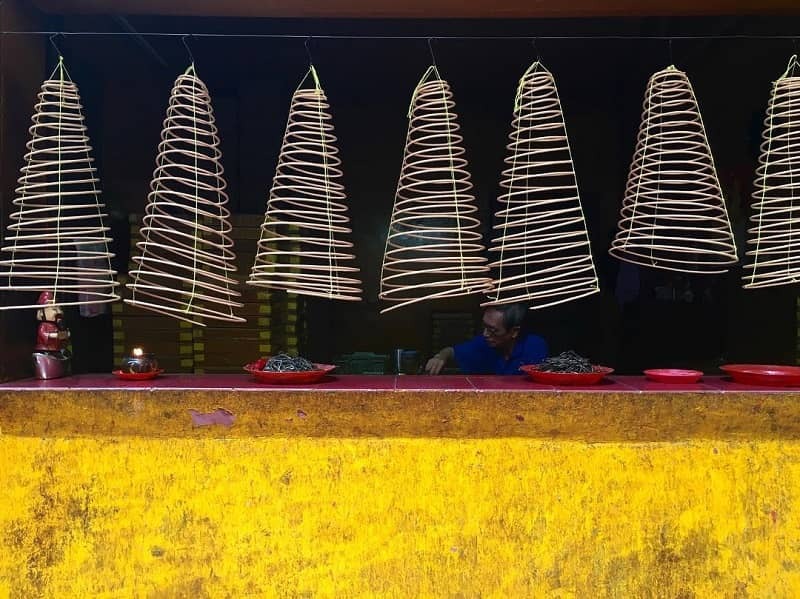 Especially, the noodles served in this district have more choices of Chinese style than the usual Vietnamese pho rice noodles while unusual herbs or exotic foods such as dried seahorse and thousand year old eggs (aka salted duck eggs) can be spotted here and there. 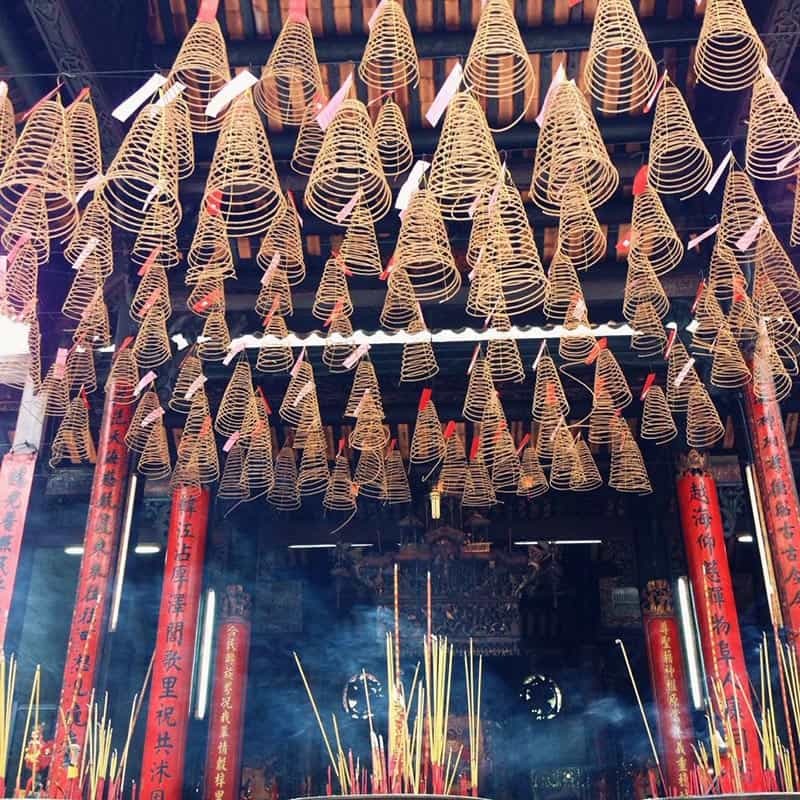 Since the Chinatown is where the Chinese community lives together speaking their own mother tongues, their tradition together with culture has been kept till today through the architecture of many religious building. Temples in this area include Thien Hau Temple on Nguyen Trai Street and Quan Am Temple on Lao Tu Steet. Both feature interesting Chinese-Buddhist style architecture and interiors with pagodas, courtyards, altars and paintings. Besides, Chinatown is home to the Cho Lon Mosque on Nguyen Trai Street and Cha Tam, a small Catholic cathedral on Duong Hoc Lac Street. If you are keen on those antique buildings, you can choose to visit all. 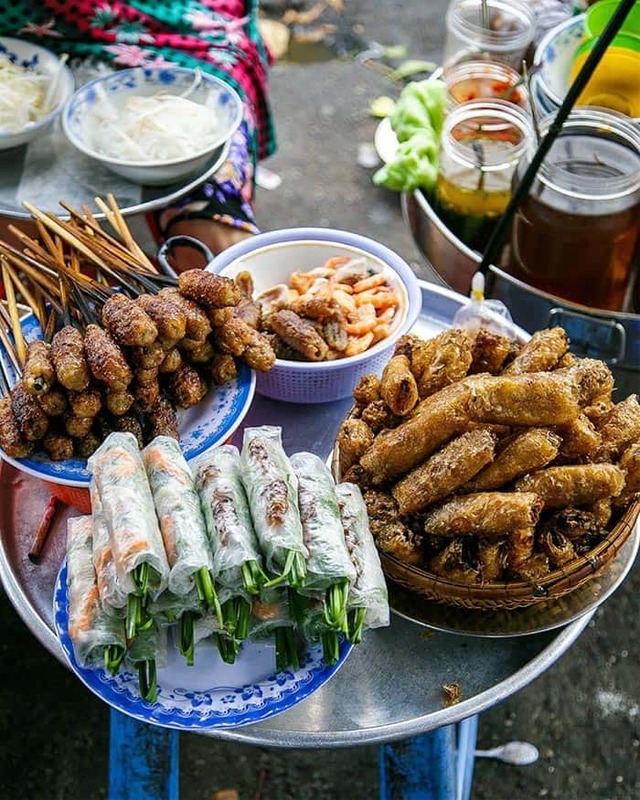 Though Cho Lon is not famous for the variety of goods compared to other big markets in Ho Chi Minh City, it is known as a wholesale market as with the unique and qualified products that you can hardly deny. Popular items range from Vietnamese silk to lacquerware and hand-embroidered clothes to skillfully woven textiles. If you love shopping, you should visit it once. To take a trip around Chinatown, walking is the best way to discover how awesome the Chinese community living here is. What’s more, you can also go by cyclo riding around Cho Lon and enjoy an interesting day out with camera on your hand and joy on your face. There will be so many things to explore than just staying at home at watching TV. Let’s go!